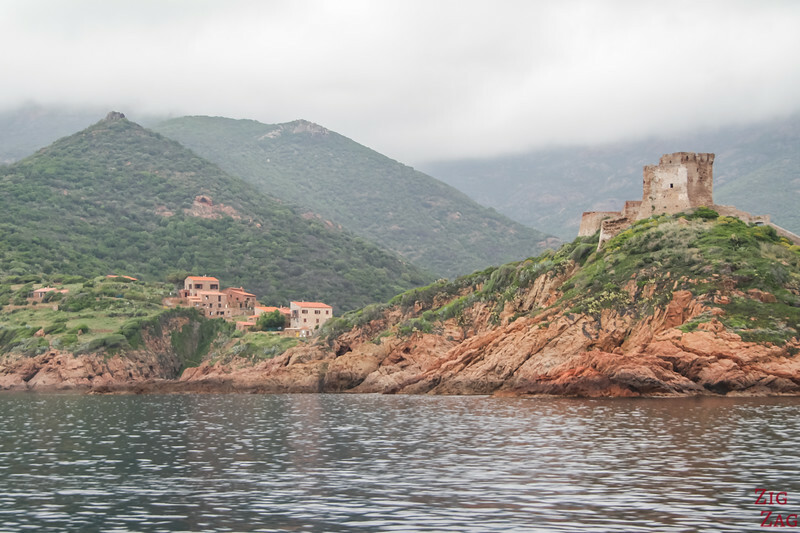 Things to do in the Gulf of Porto Corsica - Breathtaking Unesco sites! 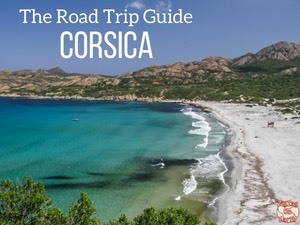 Let's head to one of the most beautiful regions in Corsica, the "Island of Beauty"! 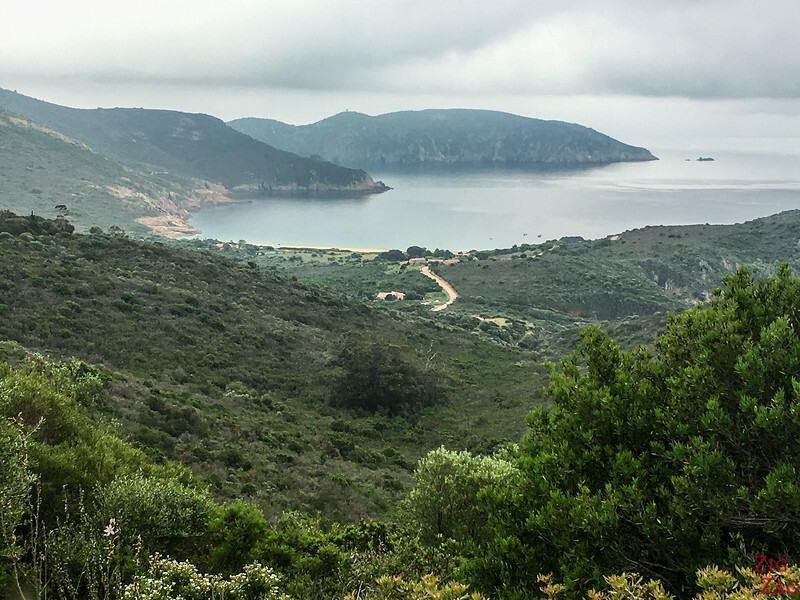 Below is my guide with all the best things to do in the Gulf of Porto Corsica, a Unesco Heritage site with natural reserves and breathtaking scenery. Cliffs, mountains, gorges, volcanic caldera, beaches... there is lots to see! 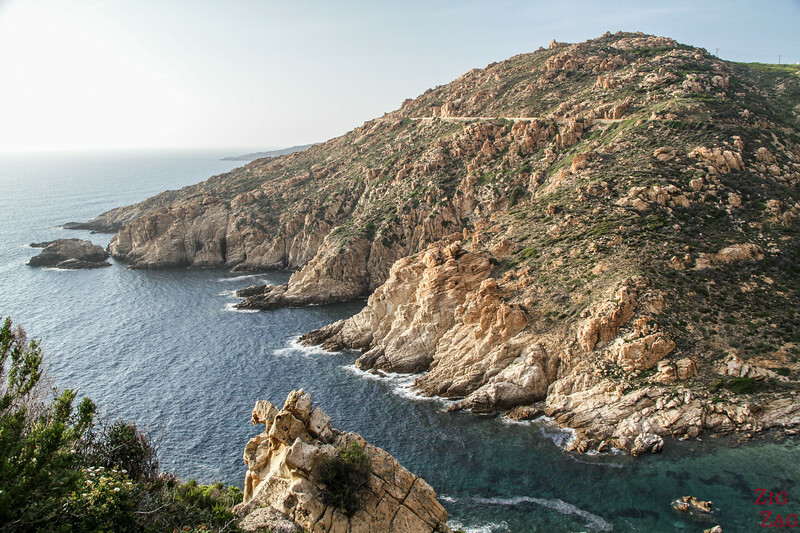 The Gulf of Porto is one of my favorite regions in Corsica. It is so scenic, unique, wild and beautiful all around, that is has been classified as a Unesco Heritage site. 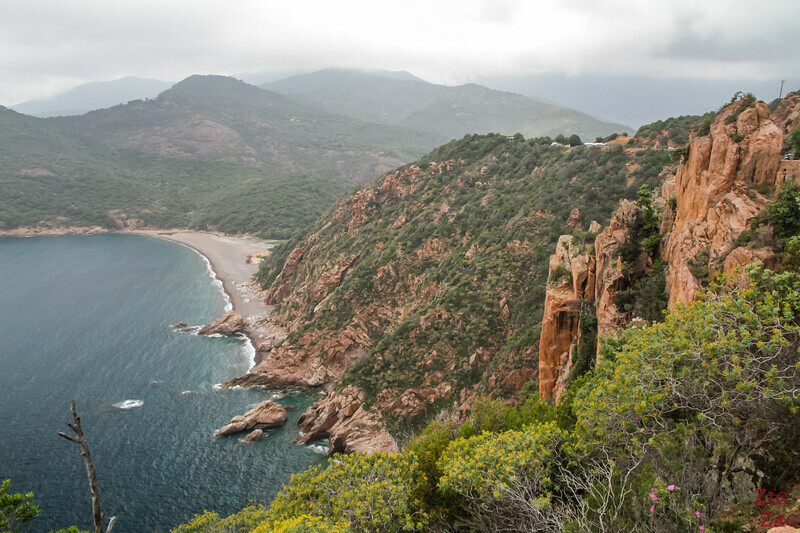 This gulf has all that I love: mountains and sea as well as reddish geological formations. This is my version of Paradise!!!! How about you? 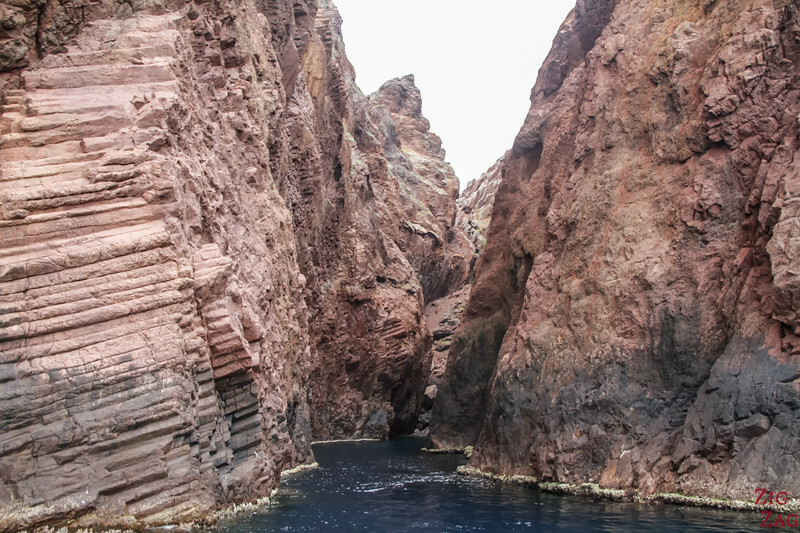 High cliffs in a hard pink stone that has been shaped by the wind over millions of year. The steep 200 to 300meter cliffs are very impressive and best admired at sunset when the colors are even more intense. This is a 250million years old Caldera where the exposed rocks have been shaped by sea and wind erosion. 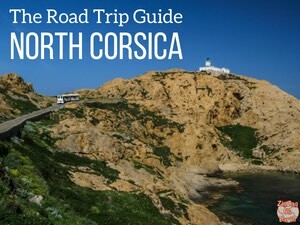 It has revealed detailed elements of its structure making it one of the most fascinating places and unique landscapes to see in the Mediterranean Sea. Details and more photos of all these points of interests further in the article. 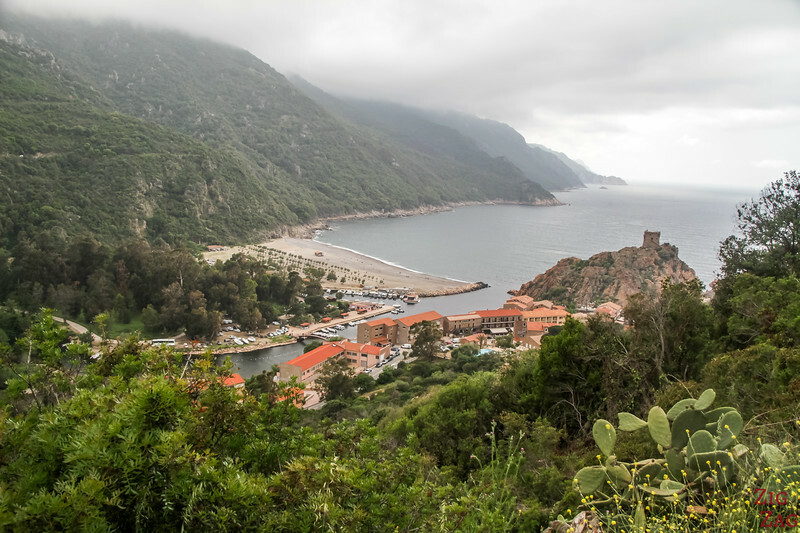 However it has a particularity: its Genoese Tower, which is part of the vast network built in the 16th and 17th centuries, has a square shape.. You can walk to the tower for a small fee and climb to the top to for great views of the Gulf on one side and the mountains on the other. But it is worth doing only when the clouds are high enough to see the top of the mountains. You can stay directly in Porto Ota. It is now a touristic hub rather than a village. 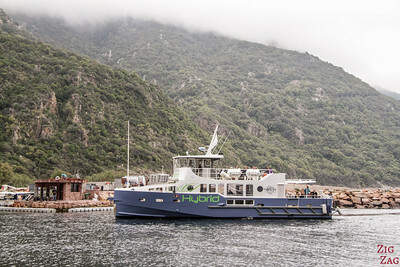 It is the perfect location for the boat trips and to explore around: North to Scandola, South to Piana and inland towards Evisa! And in town you will find lots of delicious restaurants to enjoy. What to do in the Gulf of Porto? 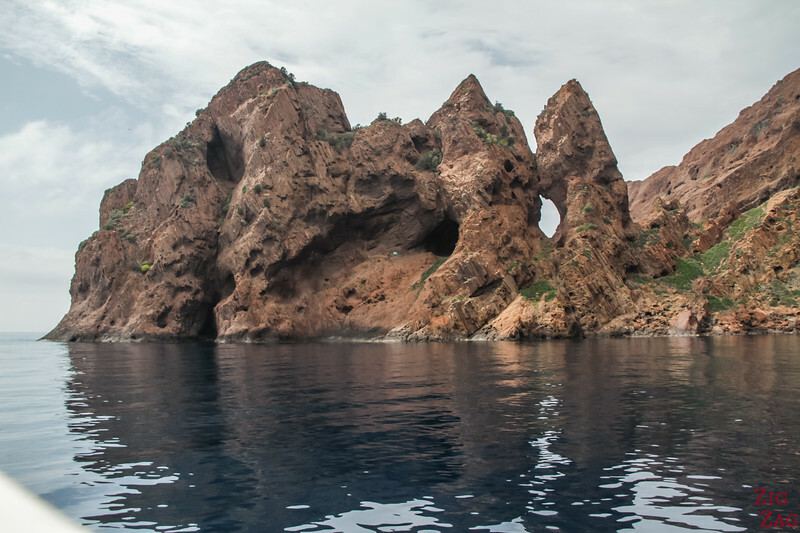 Explore the Caldera of Scandola for sure. This is one of the most famous coastal regions. 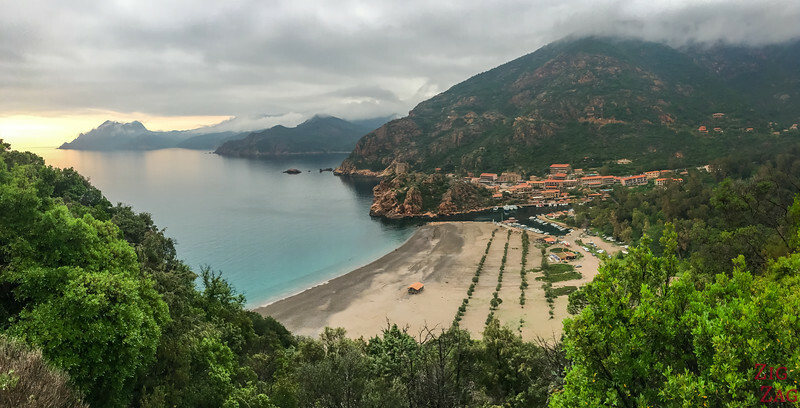 Scandola is a nature reserve that is only accessible by boat or on foot (long day hikes), a paradise for geologists and a dream-location for nature lovers. The caldera formed 250 millions years ago. And since then, the wind and sea have eroded the magmatic rock (that is softer than in the Piana calanques nearby). It has revealed many fascinating structural elements such as basalt columns. I will show you some of them just below. You can only visit the Reserve on foot (long hike) or by boat (best). There are no roads entering the reserve. 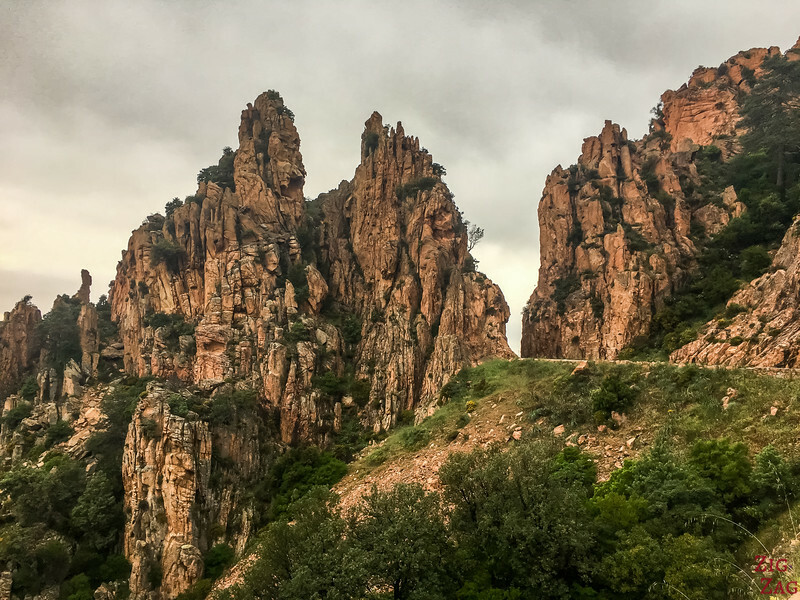 And if you really love rocks and scenic coastline you can do like us and combine with a tour of the Calanques de Piana (photos further in the article). Using the same link, once you selected the date you get a choice of only Scandola or Scandola + Piana. 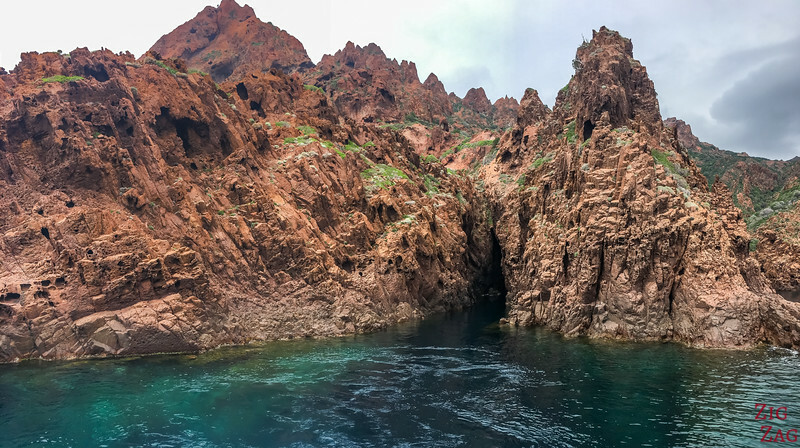 Touring the Scandola Reserve is discovering shapes, textures and colors you might have never seen anywhere else. The rocks are mostly red, grey and black. On the picture below, you can see the organs of Punta Palazzu. 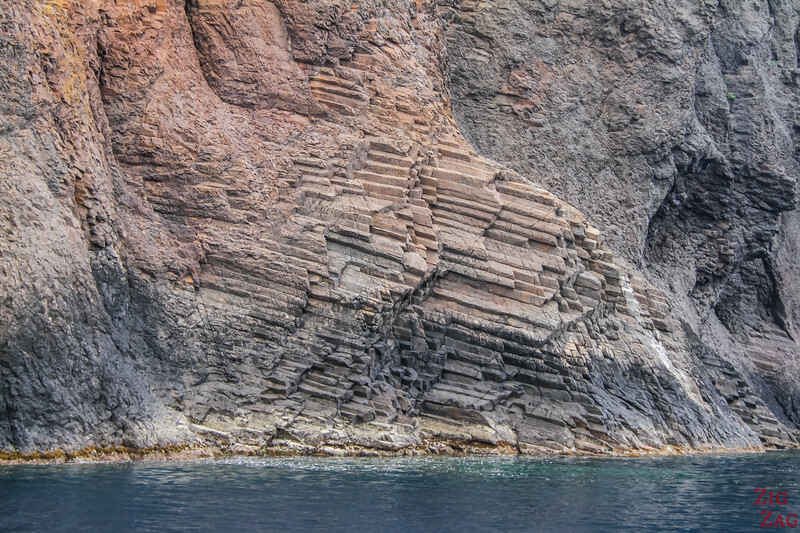 They are especially interesting because normally such "organs" of columns are vertical in basalt flow. But these are horizontal. Then you can admire another type of rock that looks smoother. This is where, when arriving at the surface, the lava created a sort of foam because of the gaz-rich magma and high temperature. 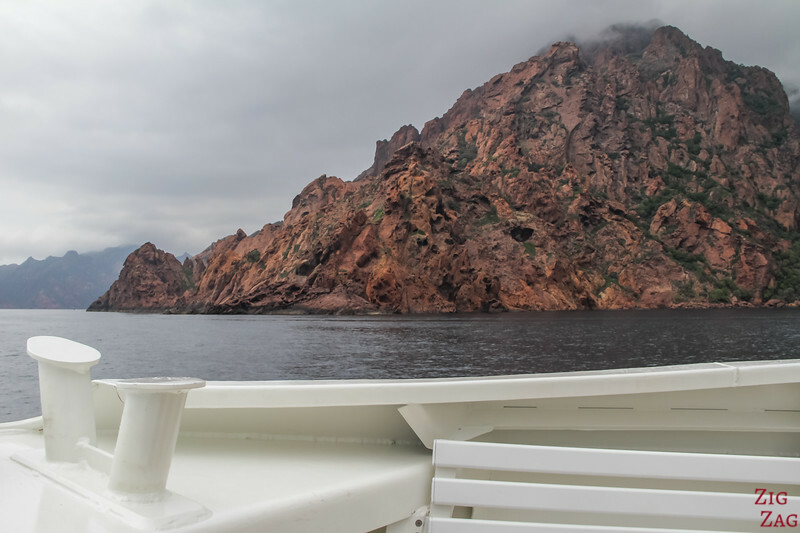 After touring the Scandola reserve, the boat takes you inside the gulf of Girolata. At this point you leave the Caldera with quite different rocks. 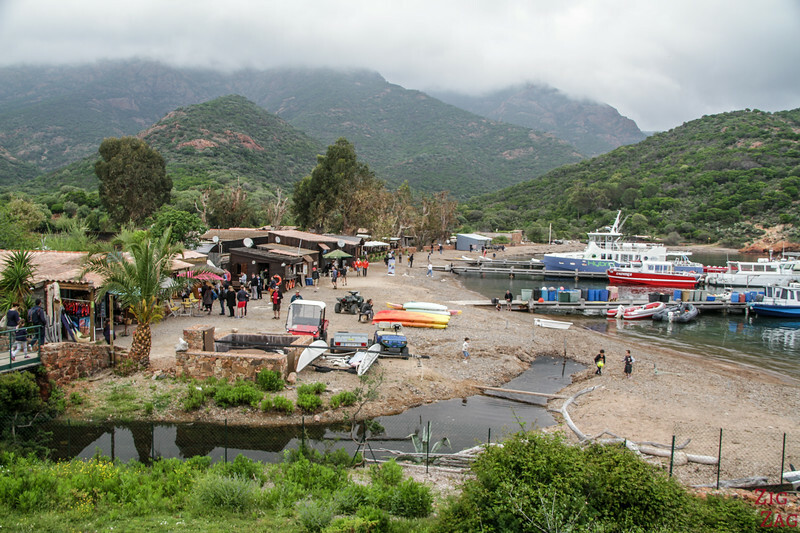 The boat docks at the historical village of Girolata that is completely isolated. You get 30min to explore its streets or taste one of the delicacies. In Summer it really becomes a touristic spot with shops and cafés on the beach. If you want to get more geological information and can read technical French, Check out this document. 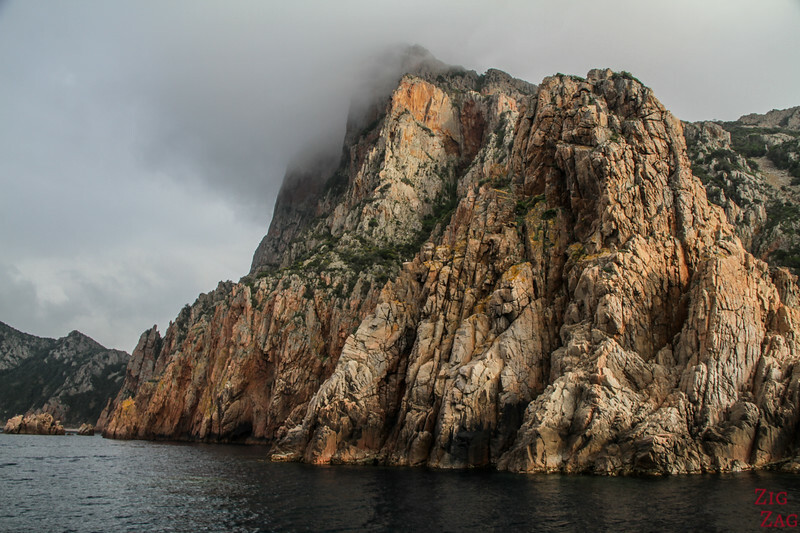 The next MUST-DO in the Gulf of Porto is to explore the Calanques de Piana. They are 200 to 300m high cliffs made of Pink-red rocks. This rock is very hard so it has not been eroded the same way by wind and sea. The formations remains almost straight plunging in the water. They look like a mini mountain range. 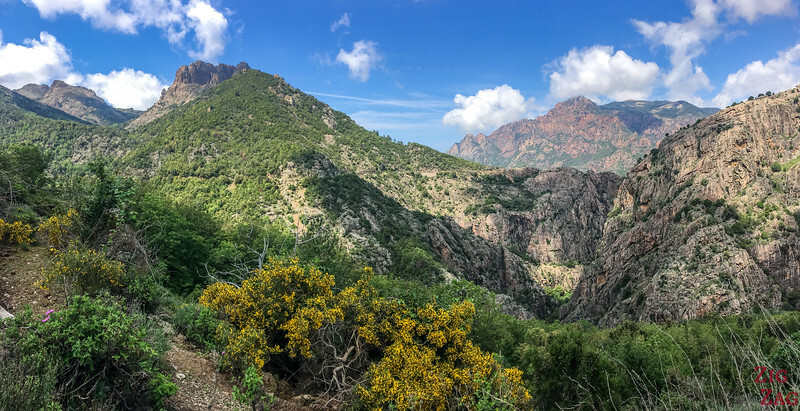 For more pictures and a video, you can check my complete guide to the Calanques of Piana. 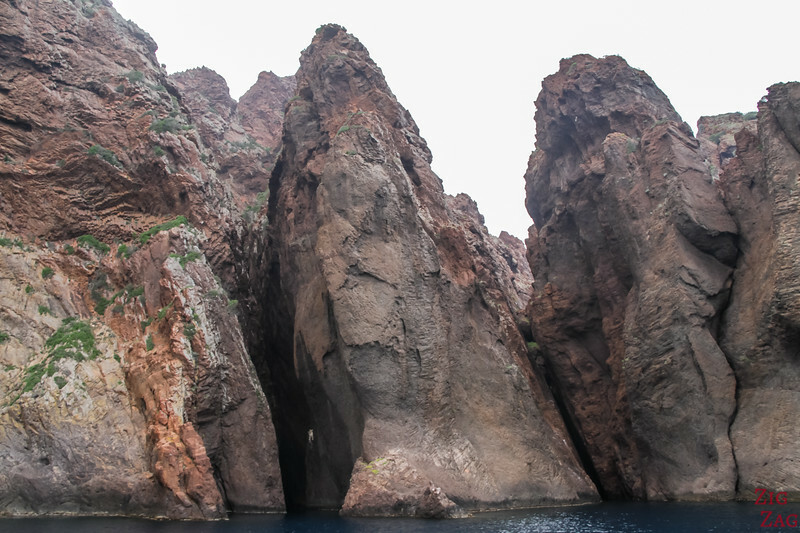 The best way is to admire these formations (I think) is by boat. There are frequent departure from Porto and the tour lasts for 1h30 sailing all the way to Capo Rosso and its tower. On the way you get up close with the different sections of the cliffs and see the holes and caves created by erosion. You feel quite small at the foot of this giant walls of rocks. 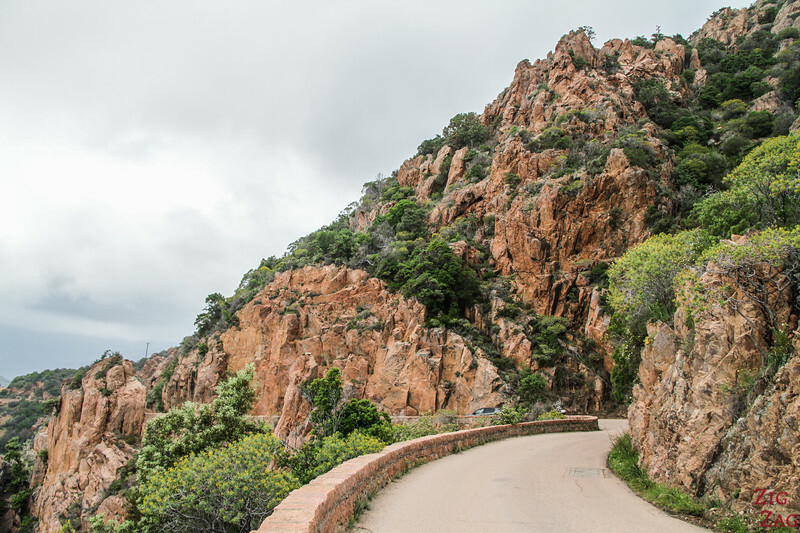 Otherwise you can drive through the cut rocks on one of the most scenic roads in Corsica. Or you can go for a hike to see some of those rocks up-close. 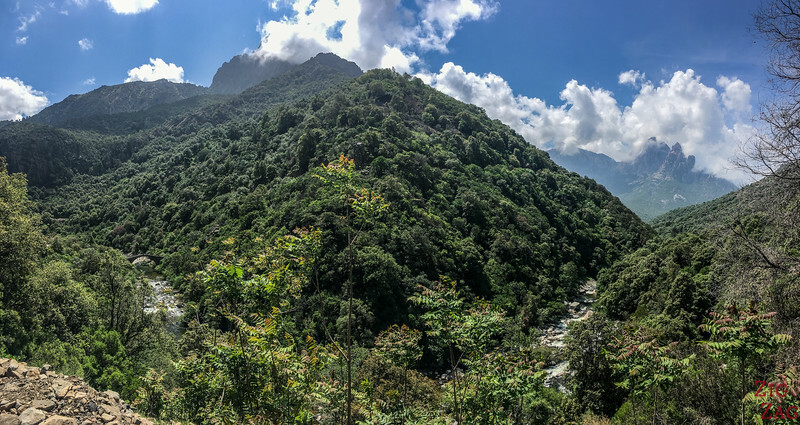 2 hikes are introduces in my Piana article. Want more scenic roads to drive on, near the Gulf of Porto? No worries. 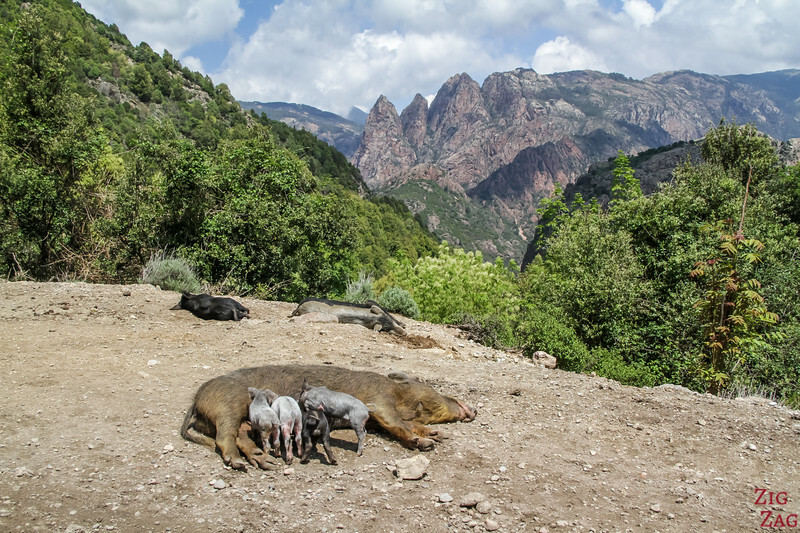 Corsica is full of them. One of my favorite is the road from Evisa to Porto. No sea views there, but stunning mountains peak and a deep gorge. East of Porto in the mountains you can find the village of Evisa. 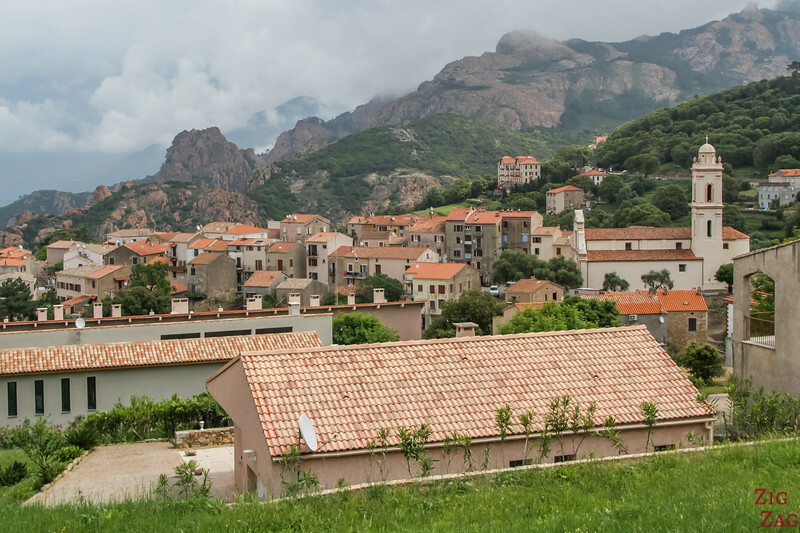 It is not the most charming village I visited in Corsica, but if you keep going pas the center of the village, you will see a panoramic table on the side of the road where you can have a great view of the cillage and the mountains. On a clear day you clearly distinguish the Calanques de Piana in the background. 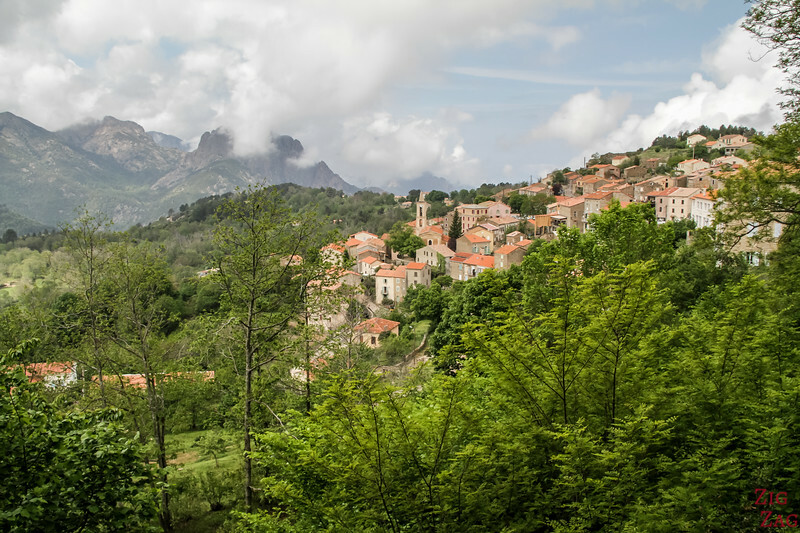 The village is surrounded by lush forest. 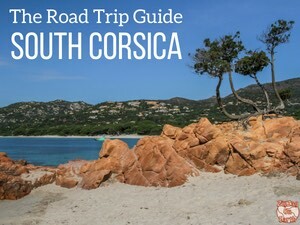 It is mostly composed of Chesnut trees which is and important agricultural hub in Corsica. On the way down there is an "offical" stop with a panorama table. 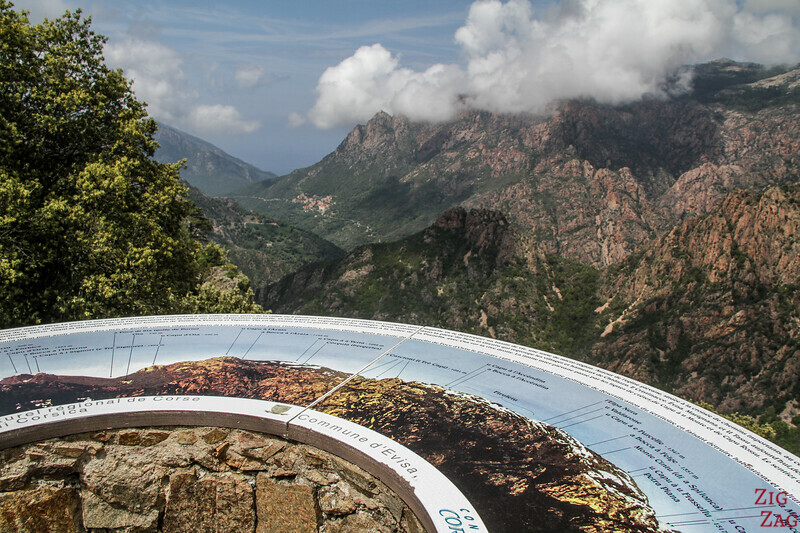 It offers details of the surrounding summits and red mountain slopes. And the surrounding views with the bare granit walls of the Gorges of Spelunca are perfect (to me at least lol). 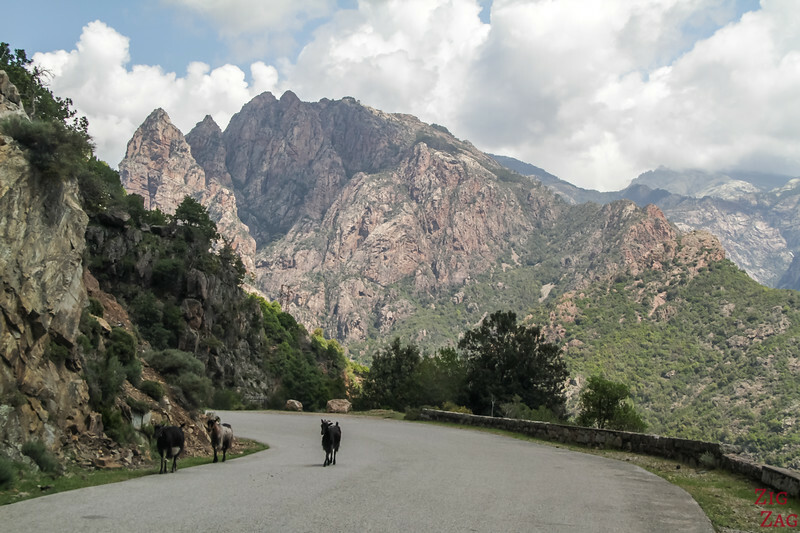 I think this is one of the best drives in Corsica. 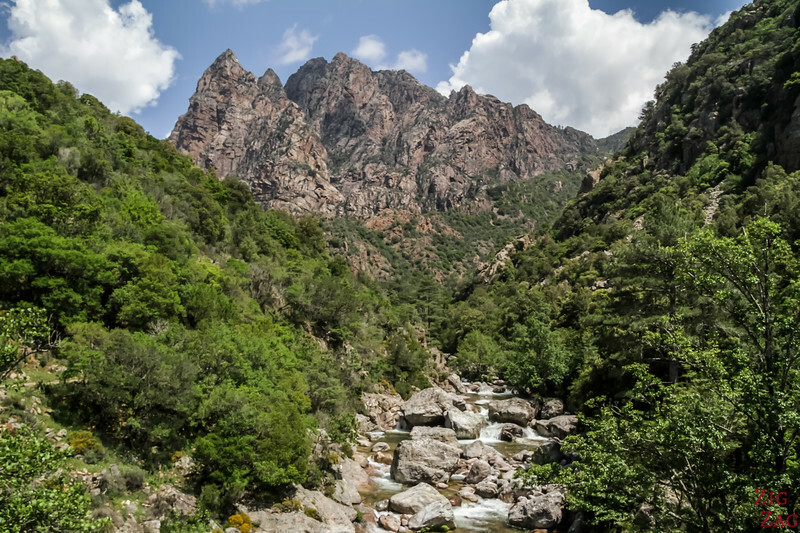 If you love hiking, inland you can also find the Spelunca Gorges at the bottom of those same mountains. Some of the granit walls around the gorge are 1000m tall!!!! In those gorges several rivers meet including River Porto which continues to the sea. You can either drive to the confluence of the rivers and do some small hikes or do a complete hike from Ota to Evisa. From the Evisa to Porto Ota drive, the road to the bottom of the gorges is in direction of Ota. The road is a little more difficult, narrower and with bad surfacing. But it is not very long. 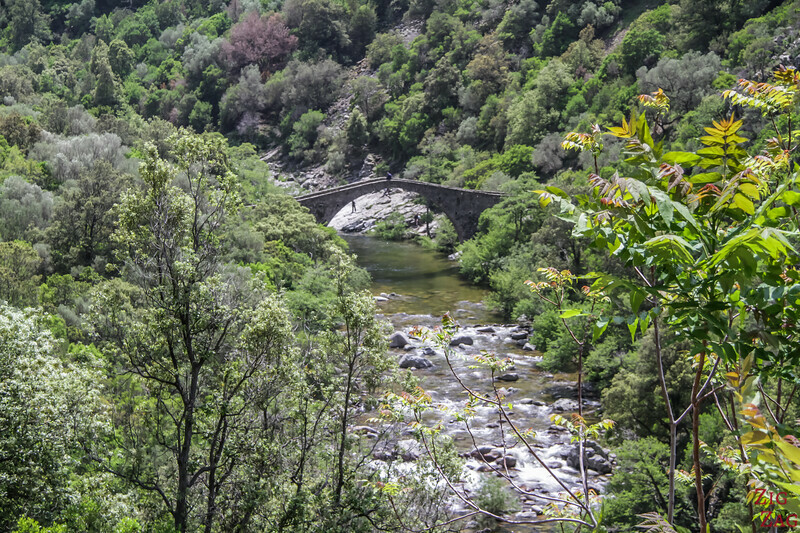 The walks are not only famous for the tall walls all around, but for the historical Genoese arch bridges. One is visible from the road while the other is hidden in the forest. They have a very typical shape with a triangle at the top. 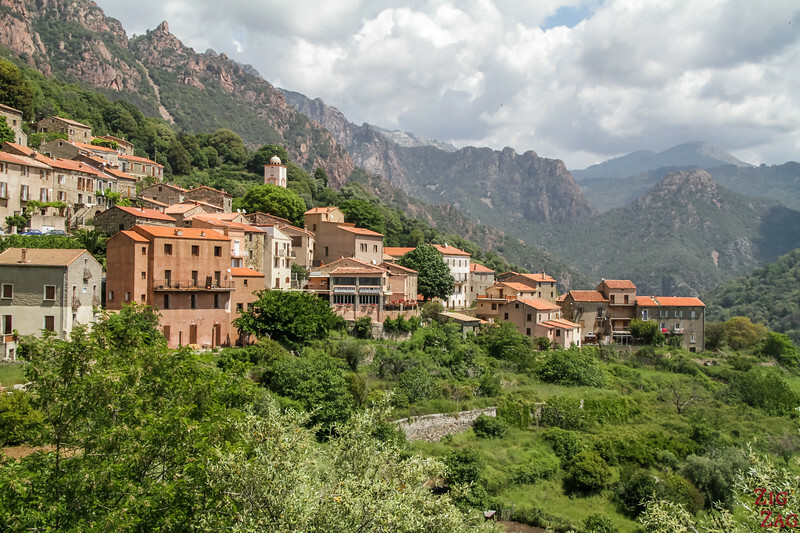 The drive starts in Piana and is very scenic while not too difficult. It offers great views of Capo Rosso on one side and the bay from above. Once at the beach you can drive left to the beach carpark or right to a great restaurant with a fantastic terrace looking over the beach. 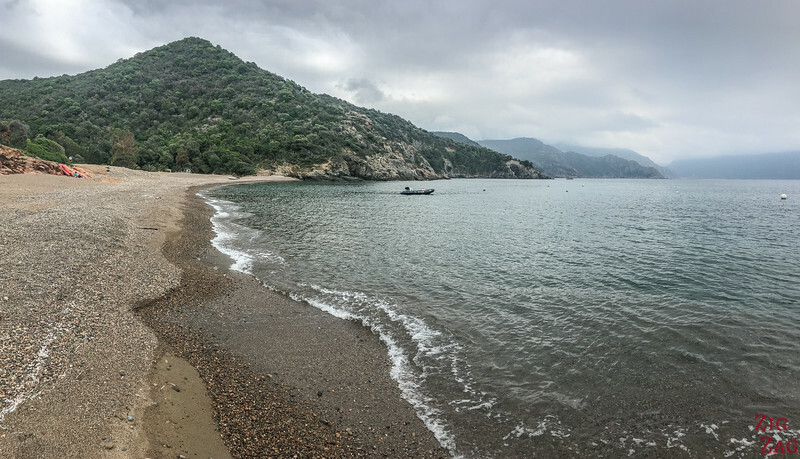 It is a nice sandy beach nestled in the mountains and with red rocks at each end. 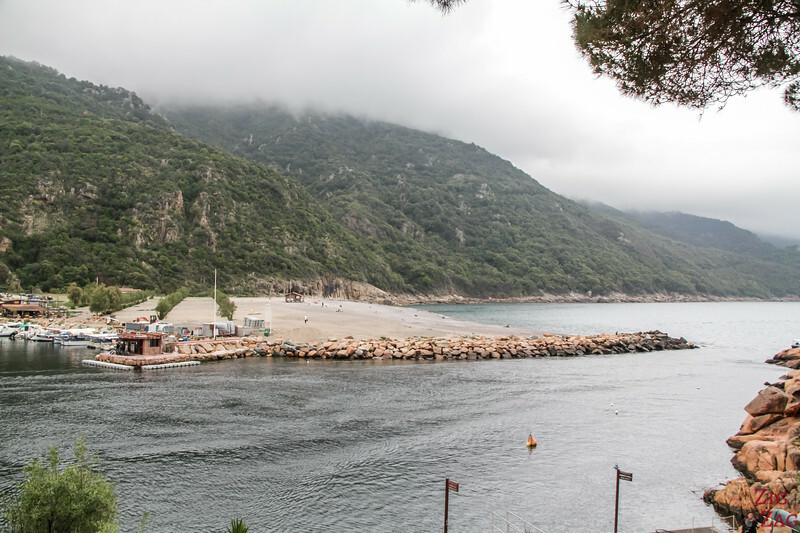 In the opposite direction, towards the North you can take a side road to get down to Gradelle beach (45min). This time no sand but small pebbles of different colors. This beach is a great location to admire the whole South side of the Gulf of Porto. Also North of Porto Ota (15min) is the beach of Bussaja with pebbles as well. But from the bottom I don't find it as scenic as Gradelle. Love the type of scenery of Calanques. 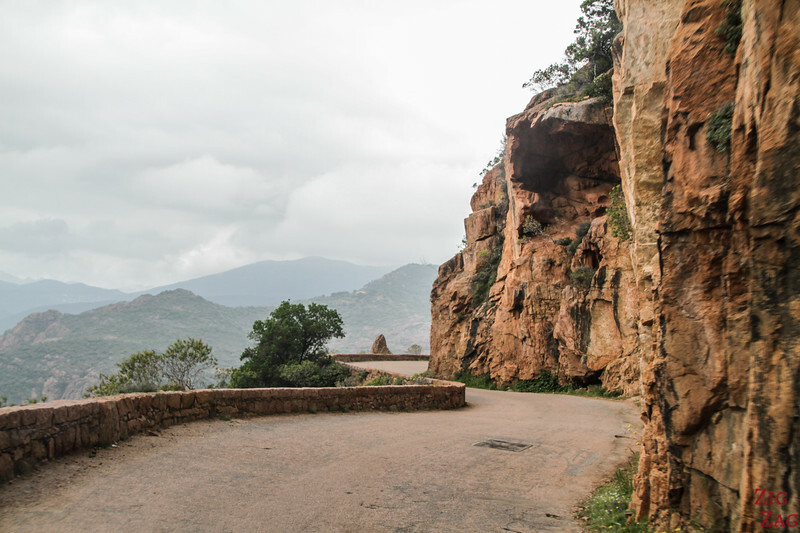 If you drive North from Porto towards Calvi, you will enjoy another little narrow section cut in the cliffs. These are the Calanques of Figa Baleri. No place to stop but more great views! 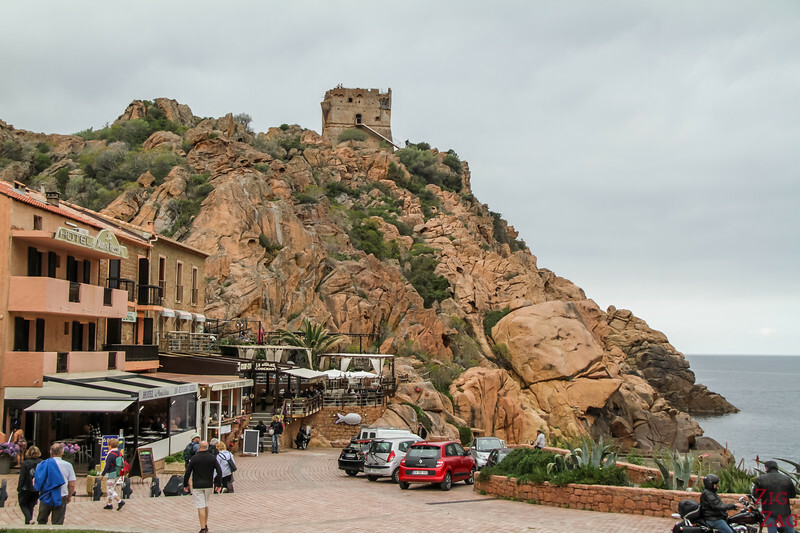 Calvi is a 2hour drive from Porto Ota. If you are not on a road trip, it can makes for a great day trip out of Porto. The drive is slow and sinuous but oh so magnificent with whiter smoother rocks, beaches and peninsula. 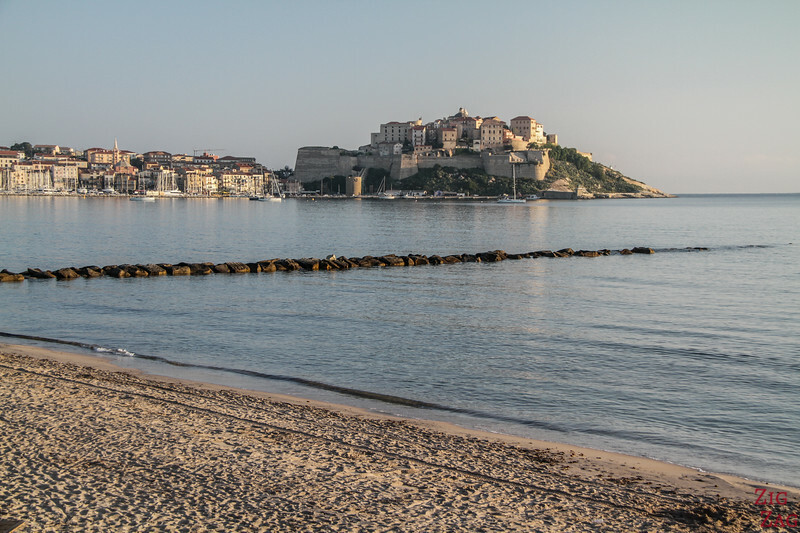 Once in Calvi you can explore the old Citadel, its forticiations and views. Don't forget to go for a walk on the beach. From there you get a nice views of the Citadel entirely and the marina. Fascinating region, don't you think?